224 pages | 13 B/W Illus. Notwithstanding financial crises, global foreign exchange markets have undergone a tremendous growth during the last two decades. Foreign exchange (FX) is often thought of as a site where economic actors exchange currencies for buying foreign goods or selling goods in foreign countries, but the FX markets are better understood as financial spheres, dominated by speculative actors. A key question is how this huge global speculative sphere has developed, and what maintains it. Thus far, global currency markets have been largely neglected by the new approaches to finance, and until now no study has existed to chart the interplay of their structural evolution and their shape as knowledge spheres. 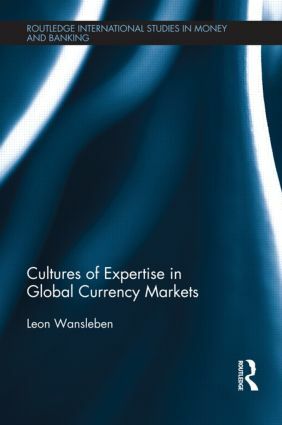 This new book offers a systematic study of FX markets from a knowledge sociological perspective, empirically focussing on analysts within these markets. It makes the argument that market structures are reflected in, and become stabilised by, distinct cultures of financial expertise. These cultures connect the actions and perceptions of loosely coupled, globally distributed market players, and establish shared sets of strategies of how to observe, valuate and invest. This highly original book will be of interest to scholars of economics, sociology and political science, and in particular to all those with an interest in the sociology of finance and the role of finance in the contemporary world.